German elections are boring affairs. A month before the national election small posters with pictures of leaders of various political parties appear way up on lamp-posts, often hidden behind leaves of trees. There are hardly any open-air meetings and TV channels try to minimise sensationalism as much as possible. This is considered a blessing by Germans and other westerners alike. When the Nazis decided to participate in elections in the mid-twenties of the last century during the Wiemar Republic,Germans were increasingly spellbound by the bewitching speeches of Adolf Hitler. Soon enough the Nazis entered the Bundestag (the German Lower House) as the second largest party with 18.5 per cent of popular votes. How the Nazis then grabbed power, created the Hitler wave, killed millions of Jews and political adversaries and destroyed the Continent by starting World War II are now history. The latest German election this September was even more boring than is usually the case. One reason must have been the dramatic rise of the Nazis again, under the new name of AfD (Alternative for Germany). Until the election Germany was ruled by the grand national coalition of the Christian Union and the Socialist Party. It was difficult for one party to criticise the other too severely for the reason of credibility and the fear of being used as propaganda by the AfD. Angela Merkel once replied to criticisms of government policies by saying that there were no alternatives. This forced the disgruntled voters to look elsewhere, and as has happened elsewhere in Europe and America, they turned to the extreme right xenophobic parties openly sympathising with Nazi ideas. If we think of the Congress as a sort of grand national coalition of the broad centre-right to the centreleft spectrum, the dramatic increase in the support of the BJP may be explained in a similar manner. AfD has a weird history. It was originally a party that championed extreme free market economic ideas and attracted a small group of businessmen and academics. Soon the party was taken over by the populist anti-immigrants led by Frauke Petry, an East German who made the party hugely popular in that region of Germany. Anti-immigrant basically means anti-Muslim, and more broadly, anti non-white. But as soon as the Berlin Wall fell, some East Germans tried to attack blacks and Vietnamese. This explains why secularism was abandoned by most Hindus as soon as the BJP came to power. The anti-immigrant crusade by AfD under Ms. Petry soon took the slippery path of anti-refugee politics, criticism of the German government’s bail-out policy of Greece and excessive financial commitment of Germany for efforts to reverse climate change. The party became nastier by the month and finally embraced the “Germany First” slogan. Of course the same slogan led to Brexit, the victory of Donald Trump and the surprising popularity of Marine Le Pen in France. But “Germany First” was the prime slogan of the Nazis, and that still sends shock waves everywhere in Europe. The party leadership of AfD was effectively taken over by two rabid German nationalists, Alice Weidel and Alexander Gauland. They started mentioning the unmentionable; that Germany is a vassal state of the western powers (read the Anglo-Saxons) who were victors of World War II. Now that AfD has won more than 13 per cent of popular votes in the latest election and has almost 100 members in the Bundestag, the political discourse in Germany is bound to alter in a fundamental manner. Because of proportional representation or two-tier election (in France), the extreme right-wing parties have been kept out of political power in Western Europe. But that made coalition formation an arduous, often frustrating, endeavour there. The Dutch election was held in mid-March, and they still have no new government in more than six months, although government formation is finally around the corner. German coalition talks are also expected to be very lengthy with the Social Democrats deciding to become the lead opposition and not joining any new coalition. 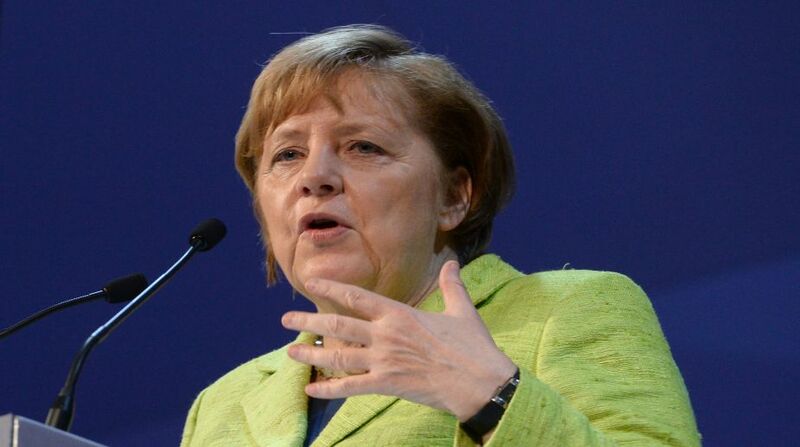 Mrs Merkel is going to try an improbable coalition with the right-liberal FPD and the Greens. The situation in the East is still more alarming. Poland and Hungary have extreme right-wing governments already. With the election over on October 15, Austria seems destined to join Hungary of the erstwhile Austro-Hungarian Empire halfway by forming a government that includes the Freedom Party of Austria, a modern version of the Nazi Party of the past. After all, Austria was the birth place of Adolf Hitler. We are in an uncertain time at present. The world order of the Cold War is gone, and the American hegemony thereafter is being challenged on all fronts. In this era of ultra-nationalist demagogues ruling important countries, alliances are formed on specific issues between traditional adversaries. Western Europe should watch out against cozy political consensus covering the middle ground. Otherwise, AfD or some similar outfits might gain political power in the not so distant future.